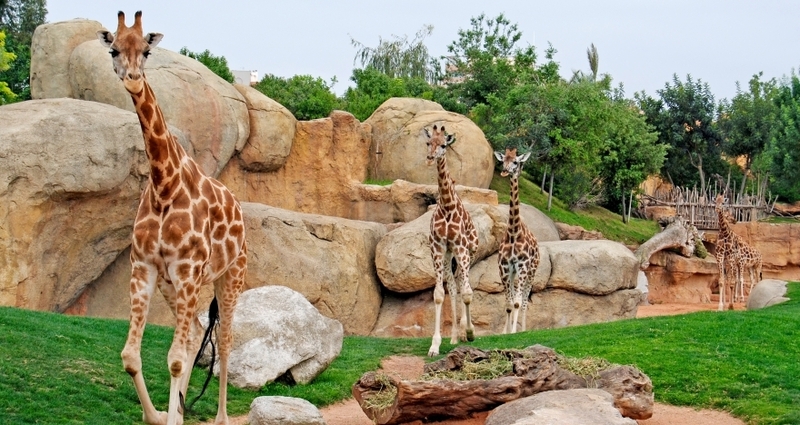 The Bioparc of Valencia is an animal park designed under the concept of zoo-immersion, immerses the visitor in a careful recreation of natural habitats. Different African environments (savannah, forests of Madagascar and equatorial Africa) are recreated. The facilities have original vegetation of each area, local vegetation and reproductions such as large rocks, caves or giant baobabs. In the outdoor amphitheater located in the center of the park, there are shows with birds and mammals. The Bioparc is located at the western extremity of the Turia Gardens. It can be reached comfortably and quickly by bicycle, as well as by public transport. Free Entrance for children under 4 years old. Children: from 4 to 12 years old. Drop us a quick email or contact us by phone for more info on discounts. *The booking is not confirmed until you receive a reply from us within 48 hours.